Violent Magic Orchestra "Catastrophic Anonymous"
VIOLENT MAGIC ORCHESTRA is an unique project comprised of dark techno prodigy Paul Régimbeau (Mondkopf, Extreme Precautions, Autrenoir), Japanese experimental black metal collective Vampillia and noise master Pete Swanson (ex-Yellow Swans). 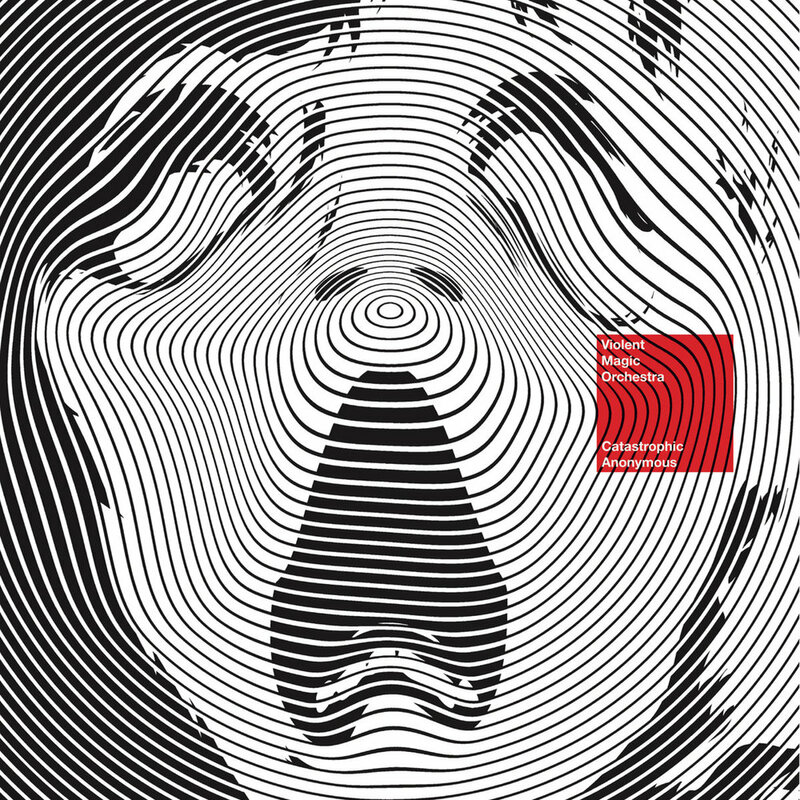 Their ten-tracks debut album "Catastrophic Anonymous" features vocal contributions from Attila Csihar (Sunn o))), Mayhem) and Chip King (The Body). VMO's overall sound is a multi-headed beast that can't be pitched in a single line. "Catastrophic Anonymous" roots are indubitably those of a harsh record, with expansive black metal guitars powered by Extreme Precautions-style glitchy textures & brain-melting drum machine work as well as Pete Swanson's noisy soundscapes. Then it also covers a wide range of genres - flirting with industrial techno, post-rock or drone - while always sounding effortlessly natural. Mastered by James Plotkin (Khanate, Atomsmasher) and illustrated by french artist Metastazis, "Catastrophic Anonymous" is the fruit of boundary-pushing people, and a refreshing, spectacular experience.